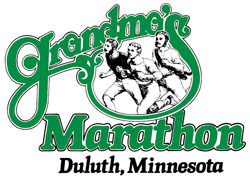 This morning I woke up to a text from Lauren saying that we got into the lottery for the Grandma's Half Marathon in Duluth! When Lauren asked me if I was interested a few weeks ago, I figured there was no hurt in registering for the lottery. If I were to get in, it would be a new challenge for me to run not one, not two, but THREE half marathons in 2013 (two of those being only several weeks apart). If not, fine with me. Looks like I have a lot of running on my calendar this year! So excited/nervous! Now my challenge is to find a decently priced hotel near (or in) Duluth! I know people who have had their hotel booked for this weekend since last year. Miss Molly is our good friend Kyle's pup (Kyle also happens to be our neighbor so Molly is a great buddy to grab from time to time). I had 5 miles on the agenda yesterday, the weather was gorgeous (almost 40 degrees and sun shining! ), and Molly was itching to get out. I love my Parker, but he's more like Terry when it comes to running... he'd rather not. 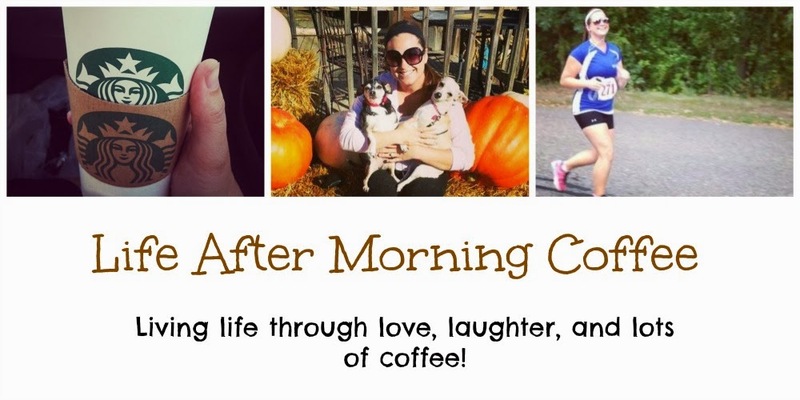 Molly definitely helps me pick up the pace and doesn't let me stop or slow down often. I finished 5 miles under an hour yesterday and was very satisfied with my time, especially since we walked the first few blocks. Now, this is a super long playlist. But it was my first half marathon and I had no idea how long it was going to take me since I did not train as much as I should have. I didn't want to run into the problem of having to replay songs or be messing with my phone, so I played it safe and put a lot of songs on there. This ended up being 3.3 hours of music and I finished my first half in 2 hours and 45 minutes. For my next half marathon, I plan to filter through the songs and scale back. My playlist will probably look similar since there are songs on here that I just associate with running now, but hope to add in some top hits as well. Do you have any songs that you associate with running? What's your favorite song/group/singer to workout to?